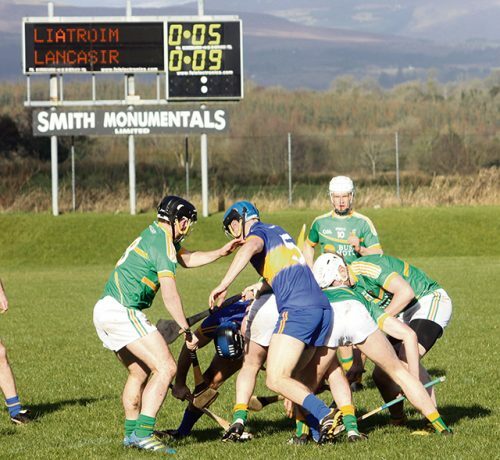 Lancashire made it back-to-back league victories after a hardfought and dramatic victory over Leitrim in sunny, but cold, Ballinamore last Sunday afternoon. 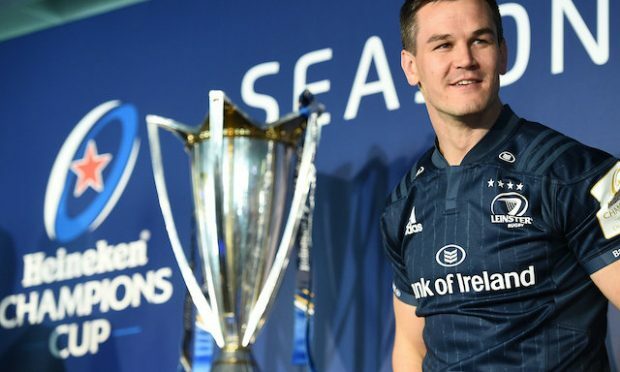 And while the Exiles’ onepoint victory may not have been as dramatic as Ireland’s Six Nations rugby win in Paris, they too had to come from two points in arrears before wing back Nathan Unwin’s priceless winner one minute from normal time. But the drama did not finish there as Lancashire lived on their nerves in the dying moments of an epic encounter. They also had to rely on a last-gasp save from goalkeeper Pa Coates and corner back Fearghal McKilltop to deny Leitrim a late goal. But when Leitrim were awarded a free after a foul on James Glancy it looked like the ever reliable Clement Cunniffe would hit an equaliser deep into three minutes of added time. But after the centre back fouled the sliotar referee Sean Stack ordered a throw-in. From the resultant set-piece, the equivalent of a hurling ‘scrum’ developed and after another attempt to throw in the ball the referee awarded Lancashire a free. But Ronan Crowley’s opportunity to put the visitors 0-2 ahead also drifted wide of the left upright in a nail-biting finish to a thrilling encounter as the Exiles, who played with 14 men from the 55th minute, held out for a memorable victory. 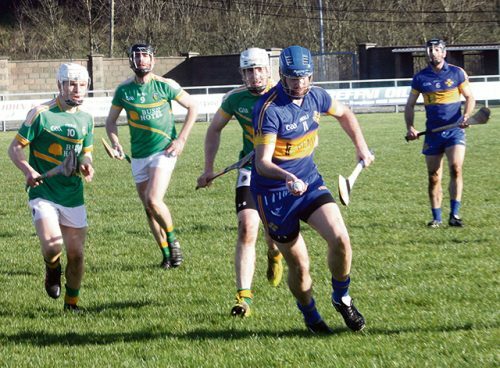 Unlike the previous week on a 4G pitch, Lancashire soon had to come to terms with the spongy soft surface of Sean Heslin Park as they defended the road end. Although the hosts led twice through Clement Cunniffe frees in the opening five minutes the Exiles finally took the lead from a Ronan Crowley 65 after 11 minutes. As Lancashire’s half-back line and midfield partnership began to settle, their forward line also saw a plentiful supply but failed to take a complete command of the contest. Apart from the surface the visitors were also not helped by some dogged defending and the excellence of Leitrim goalkeeper Declan Molloy, who somehow denied Ronan Crowley a goal in the 25th minute with an unbelievable save. That first key moment came after Clement Cunniffe had also broken a barren 28- minute spell without scoring from the hosts when Lancashire led by double scores on a score of 0-6 to 0-3. A 28th minute Tommy Duane point was then cancelled out by Clement Cunniffe’s fourth successful free, before Ronan Crowley closed the first half scoring with his sixth point from placed balls to leave the half-time score: Lancashire 0-8 Leitrim 0-4. 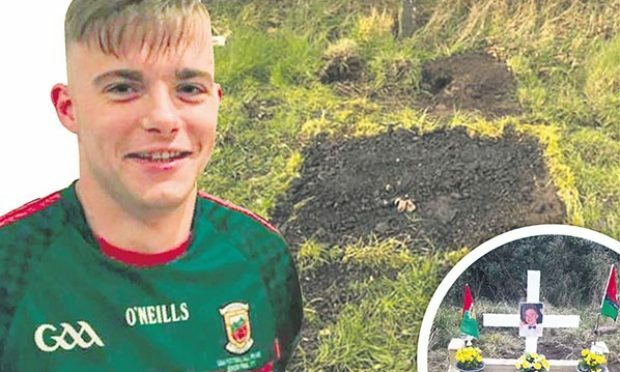 Last year’s Lory Meagher Cup finalists were clearly playing ‘second-fiddle’ to the visitors in the opening half and were surely not going to continue being bossed on the resumption of play, and Zak Moradi got Leitrim’s first point from play in the 42nd minute. Lancashire now faced the sunshine, as well as a crosswind and they soon found themselves under the cosh. Three unanswered points beginning with Clement Cunniffe’s sixth successful free followed by scores from Zak Moradi and Ben Murray left just a point between the teams after 50 minutes. And when a Cathal O’- Donovan point tied the scores a minute later Lancashire’s crisis was further compounded. However, after forcing a 65 Lancashire were grateful for Ronan Crowley’s composure to put them back into the lead. But it was a short-lived lead after another important flash-point in a pulsating contest when Lancashire fullback Justin Cleere was dismissed for a second yellow card offence on Ben Murray. Clement Cunniffe duly tied the scores at 0-11 each before a foul on David Mc- Govern gave Cunniffe the opportunity to put Leitrim back into the lead for the first time since the fifth minute. 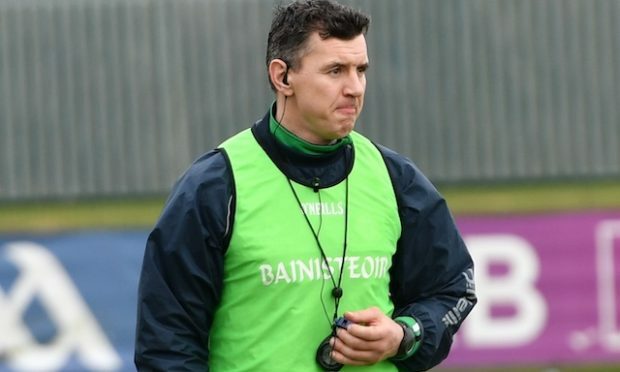 When Leitrim opened up a two-point lead following a foul on Zak Moradi two minutes later, the Connacht men appeared to be heading for a famous victory. But Lancashire dug deep and never panicked with two more Ronan Crowley frees ensuring parity with just five minutes of normal time remaining. 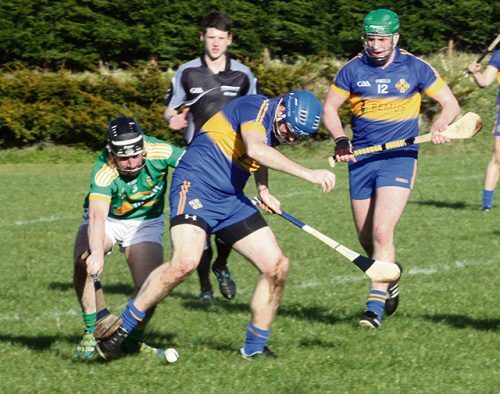 And although Clement Cunniffe edged Leitrim back in front in the 66th minute, a foul on Martin Hawley gave Ronan Crowley the opportunity to equalise two minutes later. Suddenly the momentum had swung back in Lancashire’s favour and just before the end of normal time substitute Shane Dunne provided the assist for Nathan Unwin to put the visitors back into the lead before three additional minutes were announced by the third official to leave the final score: Lancashire 0-15 Leitrim 0-14. Besides another outstanding performance from Ronan Crowley Lancashire also had many other fine individual displays including goalkeeper Pa Coates, defenders Liam Knocker, Justin Cleere, David Power, team captain Greg Jacob and Nathan Unwin, hard-working midfielders James Fitzmaurice and Stephen Duncan while in attack Tommy Duane, JJ Dunphy and Martin Hawley all shone. SCORERS: LANCASHIRE: Ronan Crowley 0-13(0-9)f(0-2)65s, Tommy Duane and Nathan Unwin 0-1 each. LEITRIM: Clement Cunniffe 0-10(0-10)f, Zak Moradi 0-2, Ben Murray and Cathal O’Donovan 0-1 each. LANCASHIRE: Pa Coates; Liam Knocker, Justin Cleere, Cathal McKillop; David Power, Greg Jacob (capt. ), Nathan Unwin; James Fitzmaurice, Stephen Duncan; Daire Maskey, JJ Dunphy, Tommy Duane; Damien O’Grady, Martin Hawley, Ronan Crowley. Subs: Feargal McKillop for Cathal McKillop h/t, Shane Dunne for Damien O’Grady 50, Stephen Grace for Liam Knocker 55. 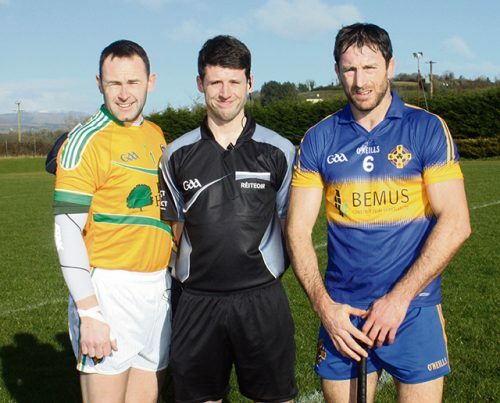 LEITRIM: Declan Molloy (capt. 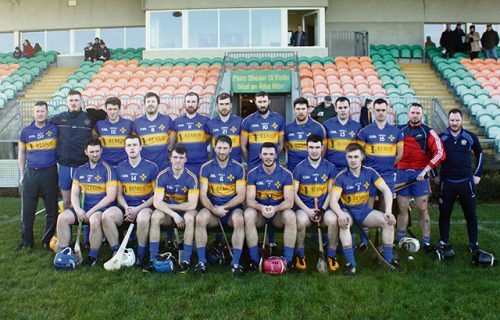 ); Declan Ryan, Cathal McCrann, Paul Earley; Enda Moreton, Clement Cunniffe, Niall McLoughlin; James Glancy, Liam Moreton; Ben Murray, Karl McDermott, David McGovern; Cathal O’Donovan, Gavin O’Hagan, Zak Moradi. Sub: Conor Beirne for Gavin O’Hagan 47.